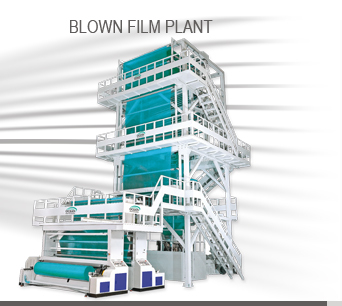 Production of plastics can be done through various processes .These include blown film process, extrusion blow techniques, injection molding ,stretch blow molding, rotational molding, machining and even thermo molding. Each of these modes of manufacturing has specific advantages in relation to the desired final products. The extrusion process involves use of a thermoplastic material that is in form of pellets, granules or even powder. Raw material is heated to form a uniform molten liquid in the extruder machine. The molten liquid is forced under pressure through a die opening to create the shape of the final product. The resulting form is pulled from the die from the exit side carefully. The resulting product is sliced into specific lengths or wound depending on the specifications. Further processing can be done to customer requirements such as threading. The most important characteristic of the extrusion process is that the products have a uniform cross section as opposed to injection molding, which gives products with varying cross sections. The machinery involved in the extrusion includes pellets handling equipment for conveying the raw materials to the extruder, heating system, the molding block and the extrusion assembly. Additives such as lubricants, stabilizers, colorants and anti oxidants can be added to the raw materials to improve their physical qualities such as color, strength and even the flexibility of the product. The main purpose of the extruder is to develop a uniformly melted material at a constant rate and pressure and maintain constant temperature. These specifications are crucial because slight variations affect the quality of the product. Tubing and hollow pipes; PVC pipes and tubes have a uniform cross section and they are made using the extruder machine. The size of the extruder is dependent on the size of the product. Solid Rods; these are further used as raw materials for production of other plastic products. They may be square, round, or even hexagonal blocks as long as the cross section is uniform. Sheet formations: These are products such as machine guards and windows glazing which are resistant to impact. Manufacture of Shapes with extended uniform cross section such as vehicle wipers and house gutters . Production of electrical cable insulation also utilizes the extrusion process. The extrusion process is one of the most important processes of plastic manufacture. The process is fast and easy to customize to product specifications. It is also easy to implement and with proper calibration, it produces very high quality components. The plastic extruder is a machine used in manufacture of uniform cross section plastics such as pipes, tubing, sheet plastics and even plastic rods. The extruder must deliver a uniform molten resin at a constant temperature for high quality product. The extrusion process involves filling molten plastic into a mould and allowing it to solidify. The product is then drawn from the mold to give long uniform cross section product. This process is one of the most important processes in plastics manufacture with wide spread usage and produces high quality products. Over the years, the technology in machineries used for plastic processing, printing and packaging machinery has changed a lot. It is undeniable that each and every product requires printing and packaging and the trends regarding the same are changing everyday. The demands of attractive and safe packaging are increasing and so the new technology machines are required by the industries. To fulfil these demands, the manufacturers of plastic processing, printing and packaging machinery are coming up with new technology machines which are of international standards. Below mentioned are some of the latest technology machines which have made the plastic processing, printing and packaging easier in the industries. 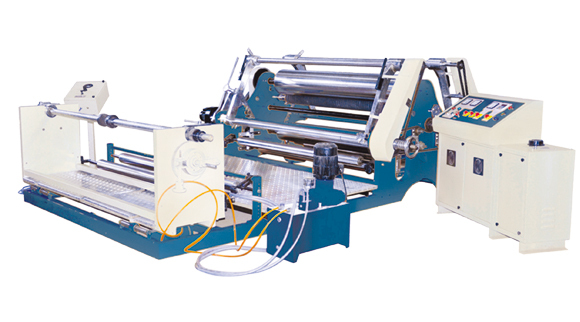 Slitter and rewinder machine is a special kind of machine which is used in converting industries and paper industries. This machine is able to work with almost any material including paper, plastic, laminating films and anything you need that may be associated with packaging any type of goods and materials for business. In modern times rotogravure printing machine is considered as the fastest and widest machine which is capable of printing almost everything, right from narrow labels to wide rolls of vinyl flooring. Rotogravure printing machine includes the process of printing which involves engraving or transferring an image onto an image carrier with the help of a rotational printing press. The rotogravure printing machines are usually used in printing and packaging industry as it is fast, reliable and featuring options of front & reverse printing facility. Rotogravure printing machine is well known for its high performance and low waste. Plastic extruder is used to manufacture plastic products used in packaging of different kinds of products. The plastic extruders are highly efficient and well known for high output, low energy consumption and low manufacturing cost. In our day to day life, we rely very much on plastic extruders as so many plastic products are manufactured with the help of this machine. Plastic extruders help in moulding plastic as per the required shape and size of the product.